Welcome to Monday, kids! 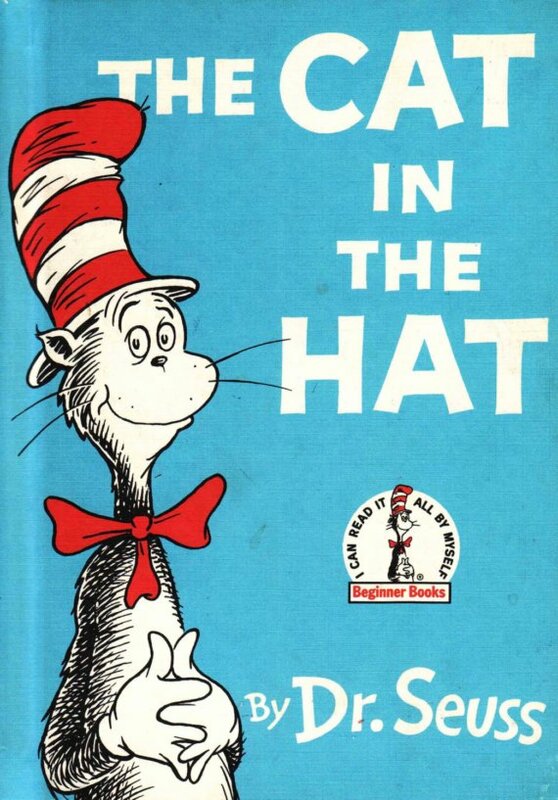 For the Great Monday Give today, I have a good vintage, hardback copy of The Cat in the Hat. All you have to do to be entered to win is comment on this post between now and January 22nd, Sunday, at 11:59 PM. A winner will be selected via the "blind scroll and point" method and announced the next day. Speaking of which... the winner of last week's give is Christina. Email me at webe(at)soon(dot)com with your info and congrats. all the little bells chimed!!! I love Cat in the Hat!! I can recite almost half of it from memory (product of way too much time on my hands in my younger days). Can Canadians enter this contest? Such a wonderful book! I'd give this copy to my grandchildren. oh my, big fans of mr. dahl here! I loved this book so much growing up! I would share it with my nephew and niece. It may sound strange, but here in Spain we have never read Dr. Seuss..so I need to read it to know if all the references I have read about it in every children literature blog is real.